Would You Pay the Terrible Price? 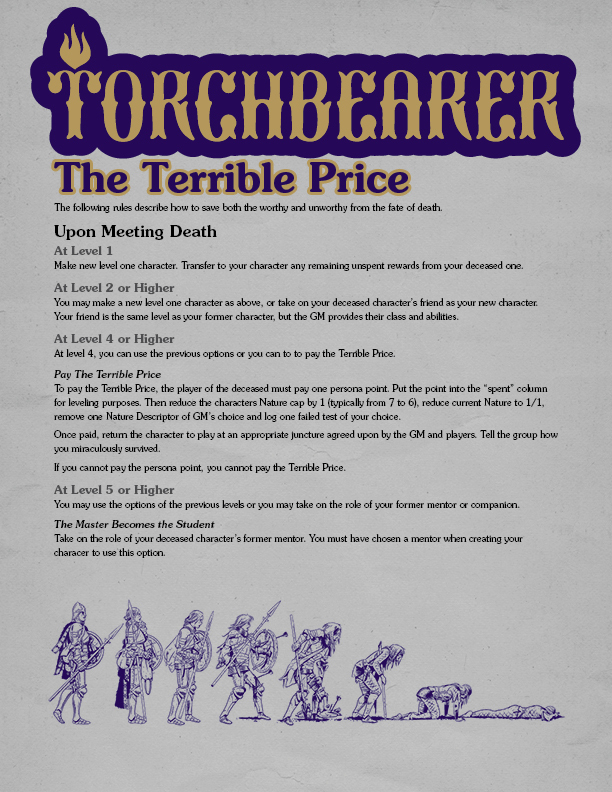 If you’re playing Torchbearer, characters are almost certainly going to die. That’s the nature of the beast. But what then? By default, you start a new character at level 1. I’m a fan of that myself. Playtest rules for meeting death in Torchbearer. Good luck. And remember, death is often a mercy. This entry was posted in Playtest and tagged New Rules by Thor Olavsrud. Bookmark the permalink.